Life’s best memories aren’t made while holding a leaf blower. They’re made in the company of family and friends, on occasions where you can focus on just having a good time, not what’s left on your to-do list. In our gorgeous Independent Living villas, you can say goodbye to the tasks you’ve come to dread, and start getting excited about the opportunities each new day will bring. Each of our private Independent Living villas comes complete with a fully equipped kitchen perfect for entertaining a few close friends or enjoying a peaceful, private meal. If you’re expecting overnight guests, you can host them in your charming second bedroom. Our community is also pet-friendly, so you can continue taking walks with the furriest member of your family. 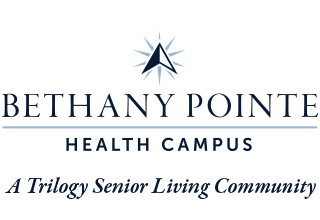 However you choose to spend your time, at Bethany Pointe Health Campus, you’re sure to enjoy yourself. Those who live what we like to call ‘the villa lifestyle’ have no use for things like rakes and step ladders and heavy bags of ice melt. However, many of them still need to keep a calendar to keep up with all of the cookouts, group outings, movie nights and coffee dates that pop up week after week. Moving into our Independent Living villas means you’ll never lack for things to do, or people to enjoy them with. And thanks to our helpful staff and 24-hour maintenance services, you can take advantage of all the programs we offer without worrying about who will take care of the more tedious tasks. Up until now, your life has probably been more work than play. At Bethany Pointe Health Campus, we’re here to help you change that. Contact a member of our team to schedule your private your today.